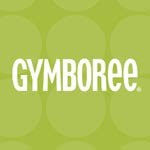 Right now, everything is marked down 30% at Gymboree. You can save an additional 15% with the code: 111F3V9UV080247. On top of this — shipping is FREE!! Oh — and this offer is also good in stores!! Yep — you can get 30% off of everything you can fit into your bag. Sounds like time for creative folding to me!